Contemporary range featuring a stylish lever design, the Cruze Modern Bath Shower Mixer would be suitable for any modern bathroom. Does what it says and at reasonable price. The mixer looks good and feels of good quality. I could see from the website image that I wouldn't like the handset so I bought a separate handset. I have taken a star off just because I would have preferred a big round handset and had to buy it separately. Very stylish addition to the bathroom. A stylish and well made tap. 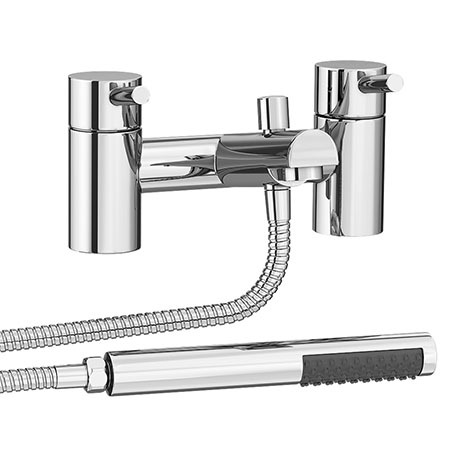 cruz bath shower mixer tap. The taps look and feels solid and well made. The shower attachment is smaller than expectedand feels very light and a little flimsy. However it doesn't detract fro the overall look of the product. Has yet to be fitted . Again well priced and great looking. Will definitely compliment any bathroom. It looks great and it works well. No regrets whatsoever.